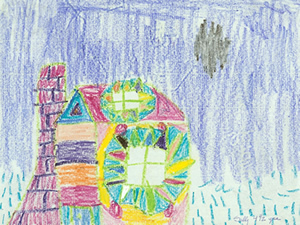 When I was four I drew a home. Not a house, a home. I knew the difference even then, and today it’s the source of my passion for creating living spaces that welcome, comfort, delight, and inspire. Given this passion for creating homes, we work hard to learn everything we can about our clients and how they go about their daily lives. Are there hobbies to nurture? Teenagers to contend with? Favorite ways to unwind? Only by understanding these dynamics can we create the comfortable, inviting spaces that enable your whole family to thrive. SpaceCraft’s success in crafting spaces that fulfill the needs and dreams of our clients is due in large part to the strong relationships we create with both the client and the builder. If you speak to our clients, they’ll tell you we’re approachable, friendly, inquisitive, and driven to transform their wish lists into structural realities. We’re known for turning what can be a very scary process into one that can actually be enjoyed. On the builder side, we have great respect and admiration for their craft and recognize the importance of creating sensible designs that are actually buildable. We view our relationship with your builder as a true partnership, fueled by a healthy and open exchange of ideas and information. Our name speaks to exactly what we do. We design homes with warmth and character, crafted with care, and with a purpose for every space. We believe that your home should be a beautiful and inviting sanctuary. And that the true measure of our work is how “at home” you feel every time you walk in the door.